✅ MODEL NUMBER: 218428101 Refrigerator Door Handle. ✅ INSTALL EASILY:Works with most top name brand Refrigerators: (Electrolux, Crosley, Frigidaire, Gibson, and Kelvinator....) and Replacement part numbers: 218428101 241711801, 372, AH427922, EA427922, PS427922, LP16133, 242059504, 5304506469. ✅ Save TIME &MONEY : With this, you only spend little to repair your Refrigerator. 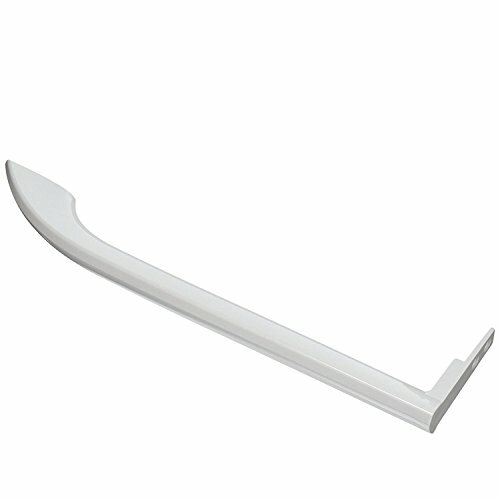 ✅ PREMIUM-QUALITY: Replacement 218428101 Refrigerator Door Handle products are made with the highest quality materials tested by manufacturer to match and/or exceed specifications of OEM products. ✅ MONEY-BACK & WARRANTY GUARANTEE : For any reason you're not completely satisfied with the product, you can ask for a replacement or full refund, no questions asked. If you have any questions about this product by HQAPR, contact us by completing and submitting the form below. If you are looking for a specif part number, please include it with your message.